The processing of your personal data is carried out by or on behalf of the Ramblers. The Ramblers Association is a registered charity in England and Wales No: 1093577, and in Scotland No: SC039799. We respect your privacy and are committed to maintain the security of your personal information. This policy outlines how and why we collect and use personal data. We want to ensure you are informed and in control of your data. Please be assured that we will never sell your personal data, and will never share it with any third parties. We will input your details on the Ramblers Walking for Health database. We will not share your information with any organisation or group outside Kidderminster Stride and Stroll group. We will only use your information to record when you have walked on one of our walks. We will not use your information for research or profiling or in any other way. Kidderminster Stride and Stroll does not collect any anonymised data. Kidderminster Stride and Stroll is one of the largest walking organisations in the Midlands with an average weekly attendance of 30-40 walkers on Thursday and 70-80 on Saturdays. It is a friendly welcoming get-together where members can walk in comfort and safety alongside like minded people of similar ability. Thursday walks are for people intending to start walking and hoping to reach 30-45 minutes regularly. These Short Walks, on even, level surfaces are also used by Saturday walkers recovering from illness or operations. Saturday Walks last between 2 and 2.5 hours, across country depending on the distances covered by the different ability groups. Kidderminster Stride and Stroll was founded at Kidderminster Hospital in 2002 by Sally Blowing, the Senior Nurse in Cardiac Rehabilitation as part of the Government's Walking for Health Initiative. The purpose then, was to provide ongoing exercise for those heart patients who had completed their period of rehabilitation. Nowadays Stride and Stroll welcomes participants from all sectors of the community who wish to improve their health & fitness and make new friends. Saturday walks are supported by Worcestershire County Council. 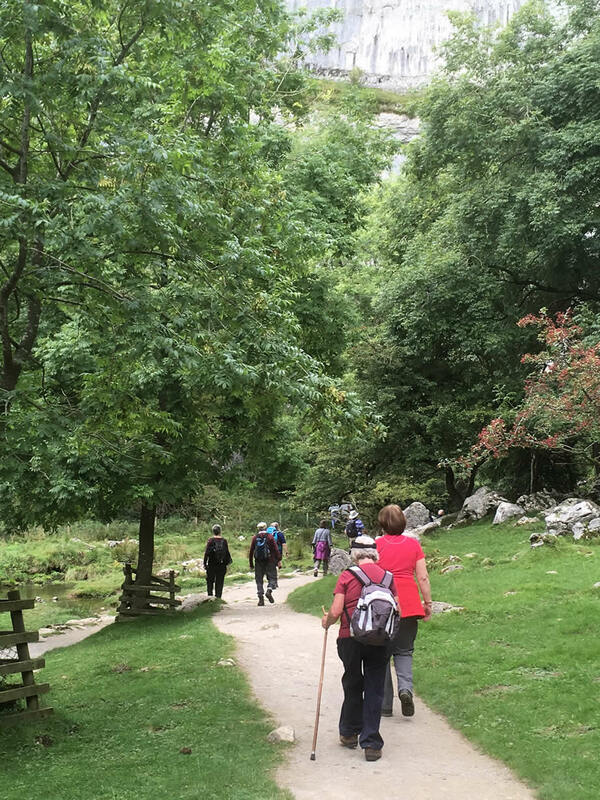 Every Saturday five different walks, to suit groups of varying abilities, are organised from a named venue. Group 'A' being the most intense suitable for our seasoned walkers to group 'D' suitable for those just starting an exercise programme. Each group has two trained Walk Leaders who are familiar with the route. Walks are regularly reviewed and augmented with new routes to improve the programme and add variety. There are no weekly fees or annual subscriptions. "Enjoyable, healthy and free. Why not come along and give us a try." For general enquiries call 07871 599 863 or visit the Contact Us page. All of the walks that Stride and Stroll organise are graded to suit all levels of experience and ability. The following outlines our group structure. Remember that membership of our Group is free. These walks start at 10.30am at locations within a 10mile radius of Kidderminster. Stout footwear and clothing to suit the seasonal conditions are essential. 'A' Group: The walks are Approximately 6 to 7.5 miles with stiles sometimes with steep inclines. Walks last approximately 2 to 2.5 hours. Walks last approximately 2 to 2.25 hours. Walks last approximately 2 hours. These walks start at 11:00am at points in and around Wyre Forest District. They are intended for everyone, including those with ongoing health problems. Walks invariably end over a cup of tea or coffee afterwards.